Select four (4) numbers from 1 through 30 and one (1) Mega Ball number ranging from 1-15 , or ask the retailer for a ‘Mini Mega Lotto-Loco’ and let the terminal randomly pick all of your numbers. 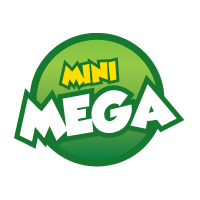 Mini Mega Drawings are held Tuesday and Friday nights at 9:00 pm. Tickets may be purchased until 8:45 pm., on the night of the drawing. Tickets purchased after 8:45 pm. are valid for the next drawing. Check the official drawing results to see if you are a winner! The Mini Mega drawings are broadcasted LIVE by Tele Aruba. Official drawing results are available on lottoaruba.com, facebook, twitter and at Authorized FLpD Retailers. Fundacion Lotto pa Deporte will hold official Mini Mega drawings where 4 out of 30 numbers and one (1) Mega Ball will be drawn at random. If your 5 numbers (4 numbers + Mega Ball) match the 5 winning numbers drawn in the official drawing for the date played, you win the Mini Mega Progressive Jackpot. Players matching two numbers plus Mega Ball, three, three numbers plus Mega ball or four numbers win other cash prizes as described below. Prizes must be claimed within ninety (90) days after the draw, unless otherwise decided by the Manager. FLPD reserves the right to publish the name, address and photograph of a winner. All tickets and transactions are subject to the provisions of the Fundacion Lotto pa Deporte (FLpD) Aruba and the rules and regulations as established by the Government of Aruba.